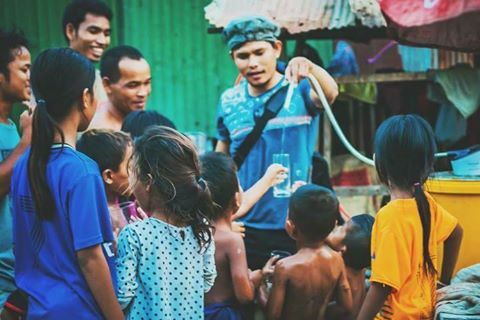 Installing water filters in slums was the idea of Rithy, the mobile medical team leader. The filter is attached to the local water supply providing free clean drinking water for all. The water filters save the slum residents 90% of their previous spending on clean water. Currently we have 5 water filters installed in 4 slums and hope to install many more. The team constantly monitors the water filters and maintains them (filters need changing every 10,000 ltr) ensuring the best health and financial benefits for the local residents.